To file a consumer complaint, please fill out the required information below and select the submit button once complete. This allows us to receive your information by email. If you would instead like to submit a complaint by mail, you can print a pdf version of the complaint form here. If you would like the complaint form in Spanish, please click here. Once you fill out the form, please mail it to the address below. Please attach copies of any checks, receipts and/or supporting documents. Please send clear, legible copies. The information given above is true to the best of my knowledge and belief. 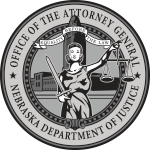 I authorize the Nebraska Attorney General's Office to send this complaint form to the company or to the interested parties and to use the information given in any manner which is determined necessary. I understand that the Attorney General's Office is not my private attorney but represents the public in enforcing laws designed to protect consumers from misleading or unlawful business practices.